Here are some chicken fajitas I made with the chicken I prepared the other day. 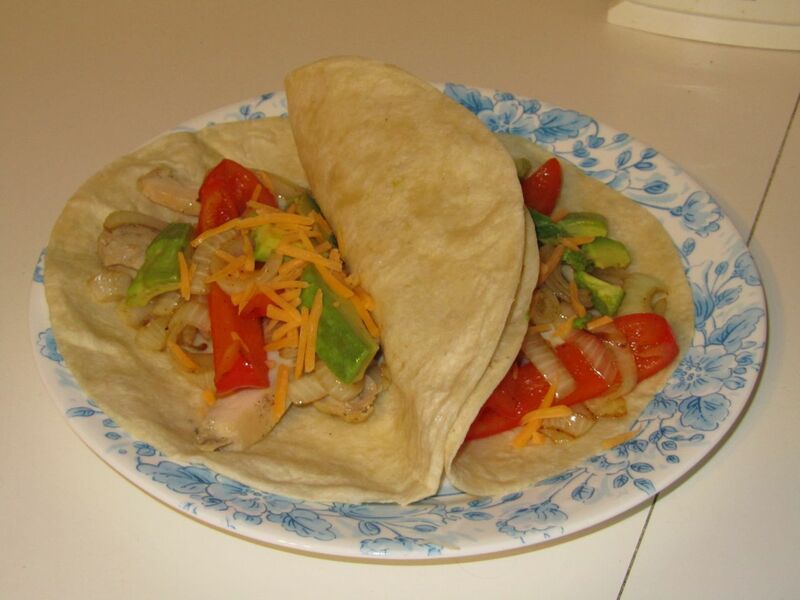 We have chicken, tortillas, sauteed onions and bell peppers (olive oil and fajita spice), shredded cheddar, and avocado. 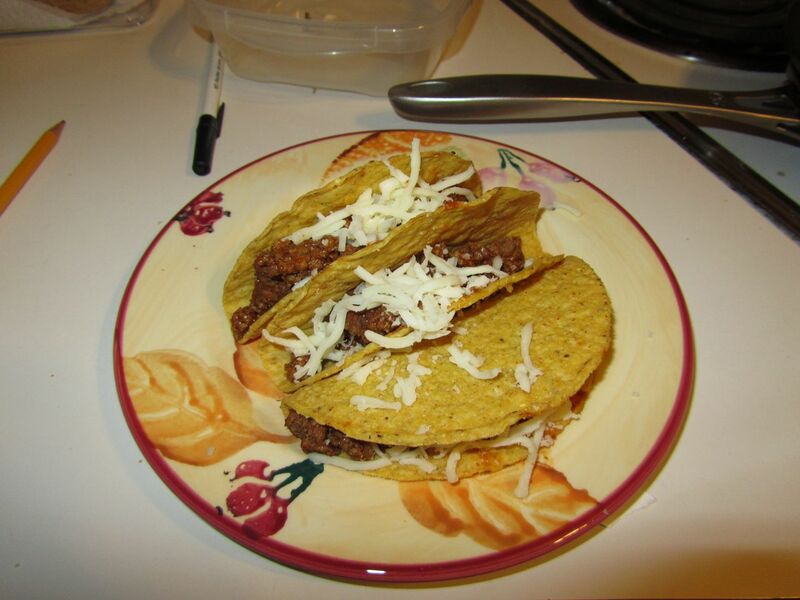 His and Hers Tacos! One of us prefers tacos with meat and cheese only. 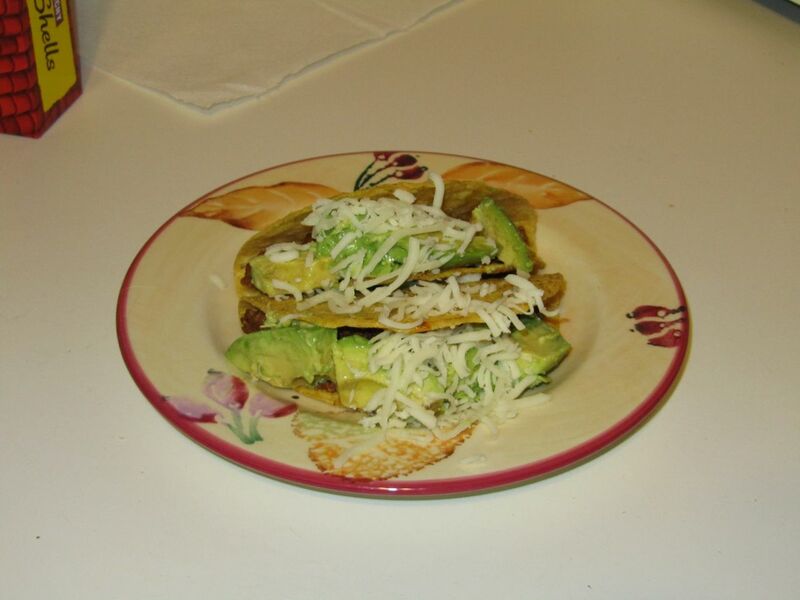 Another one of us prefers tacos with avocado!